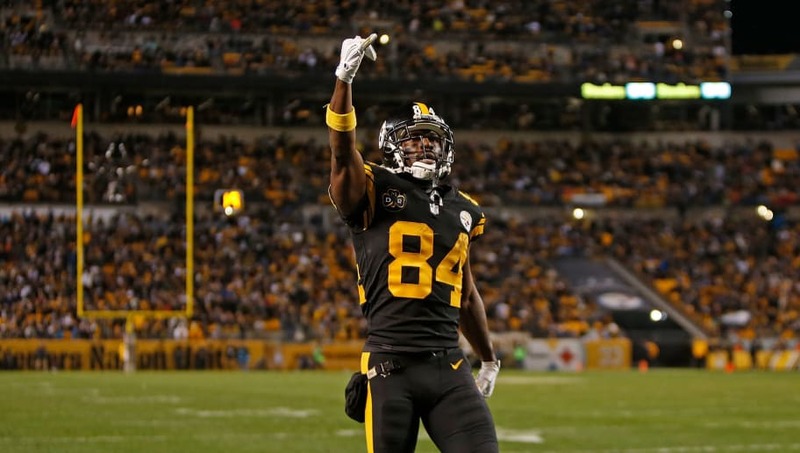 After months of drama revolving around Antonio Brown and the Pittsburgh Steelers, both sides can finally move on to what's most important: winning. Brown's antics did not have to do with his desire to win, but his desire to win outside of Pittsburgh. The superstar wideout is one of the best at his position, but is he the missing piece that can propel a four-win team all the way to a championship? Right now, the Raiders are +6500 to win the Super Bowl after acquiring Brown, according to FanDuel Sportsbook. They opened at +10000 on Jan. 30 and stayed there until March 8, when the AB and Raiders rumors started, when they moved to +8000. So overall, that’s a 3500-point improvement from the original line. Brown is an unstoppable force who has proven he's a matchup nightmare over the years. Last season, he had 104 catches for just under 1,300 yards and 15 touchdowns for the Steelers. He's going to be a huge part in improving Oakland's passing game, which finished 18th in yards through the air and tied for 24th in passing touchdowns. Still, the Raiders are a long-shot to bring home the Lombardi with the 25th best odds available. While there's no arguing his stats or ability to find the end zone, Brown doesn't change the Super Bowl picture too much. The Steelers have to find a way to replace Brown, but still have the same +1800 odds to win the Super Bowl as they did before the trade went down. An appearance in the big game for the Raiders is just as unlikely. Oakland currently has the 12th best odds to win the AFC at +3700 on FanDuel Sportsbook. Brown has a lot to prove this season. Not only does he have to prove he can still put up numbers without a great supporting cast around him, but now, he'll have to show he's a championship-caliber player as well.